The Kinect’s versatility never ceases to amaze. Microsoft introduced Poject Natal to the world in 2009 and it looked like little more than a new way to play Breakout by flailing your arms about in mid-air and looking like a moron in the process. Since then though, the spatial sensor array has proven useful in an ever-expanding number of practical applications beyond making Han Solo dance in Star Wars Kinect. 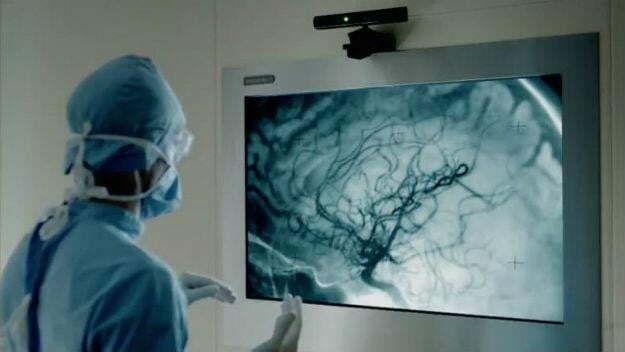 Its use in treating medical conditions has been particularly impressive, and because of Kinect’s utility in hospitals, one of Microsoft’s gaming products is finally popular in Japan. Health care and equipment company Nichii Gakkan announced a new tool named Opect, a complex imaging system used while performing surgery that relays sensitive information to the doctor without them needing to use their hands. Nichii Gakkan has developed the mobile workstation that doctors use with Opect, but the imaging technology in the 498,000 yen (around $6,350) machine is all Kinect. According to an article at Kotaku, Opect is just one new medical application of Kinect in Japan. The Research Center for Advanced Science and Technology at the University of Tokyo is developing OAK (Observation and Access with Kinect), a software interface for helping severely disabled children communicate through motion. Microsoft has been making headlines since releasing the Windows Kinect SDK that allows for more complex applications of the motion sensing technology. In late 2011, a team at the University of Missouri began using Kinect to monitor motion in elderly patients to help prevent potentially crippling falls. Senior centers also began using Kinect as part of physical therapy regiments. University of Konstanz researchers Michael Zollner and Stephan Huber, meanwhile, hacked the Kinect to be used as part of helmet that can, in a manner of speaking, help the blind to see. Kinect isn’t only being used to improve mankind’s innerspace. Engineers at Surrey Satellite Technology Limited and the Univerity of Surrey used parts of Kinect’s imaging system to develop STRaND- 2 earlier this year. STRaND-2 is repair system of two satellites used for repairing orbiting equipment in space. The Kinect tech allows the device to intelligent determine how close objects are. In short: Kinect can heal the sick and improve the exploration of space. It can make Microsoft’s video game technology successful in a country that has ignored the Xbox for over a decade. And yet somehow it can’t always detect when you’re trying to throw a fireball in Fable: The Journey.